After being on the market for 67 years, the Land Rover Defender was discontinued in 2016. 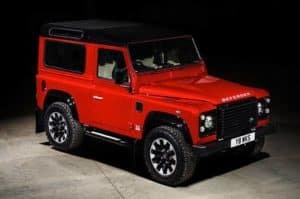 With the upcoming 70th anniversary of the Land Rover, the Defender is making its comeback. Land Rover Princeton has all the current details on this fan favorite Land Rover model! Among all things, we hope Land Rover honors its classic style and function in the coming, vintage model. Keep on the lookout for new Defender updates from us. Who knows when the next retired Land Rover model will make a comeback? Until then, browse our current Land Rover models to find the one that best suits your driving needs. Take one for a spin around the West Windsor roads and learn more about our models by contacting us today.